Wilton Park III is a two-story Class "A" office building located at Wilton Office Park (built in 2018) with approximately 15,000 square feet. 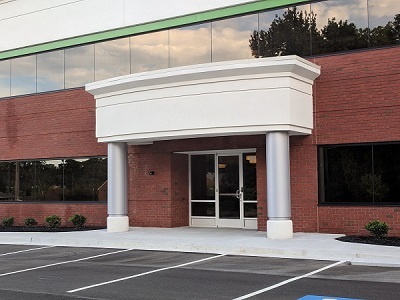 Near the Interstate 64/Staples Mill Road/Dickens Road exits, Wilton Park is conveniently located in the center of the Richmond metro area with close access to Interstate 95 & Interstate 295 as well. Major corporations in the area include Anthem Blue Cross and Blue Shield, Comcast Corporation, Altria Group, Inc. (Philip Morris) and Genworth Financial. Assured Partners has leased approx. 8,000 SF on the 2nd floor! 1st Floor lobby suites are AVAILABLE FOR LEASE! Look below for suite sizes for up to a total of 6,641 rentable square feet! Lease in one of the best locations in Henrico County with ample parking and numerous amenities, shopping and services nearby!